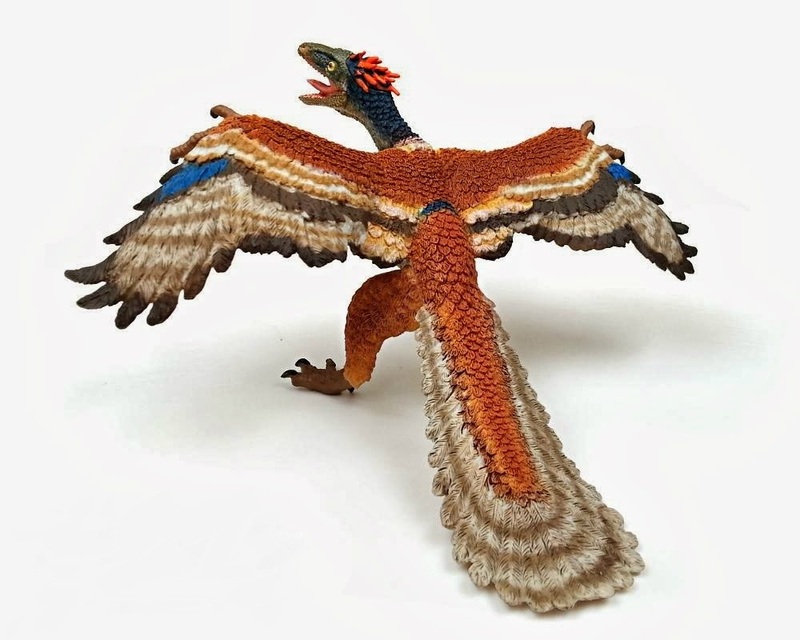 Released by Papo in 2014, this figure depicts the ancient feathered dinosaur, Archaeopteryx. 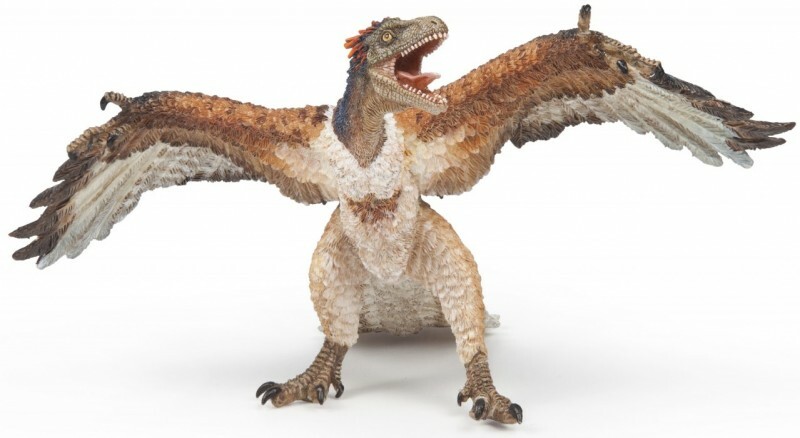 Although many dinosaurs are now known to be feathered, this species was one of the landmark discoveries in paleontology at the time. The art work and detail are beautiful on this hand painted figure. These animals take the imagination to the next level.